Nigerian Defence Academy 70th regular course admission online application form will be available for sale as from 20th October, 2017 to 9th March, 2018. and it is open to both male and female Nigerians. The NDA Entrance Examination will take place on Saturday 19th May, 2018 at designated centres across the country. Only candidates with JAMB 2018 Registration Number will be eligible to write the exams. NDA will await JAMB 2018 examination results before shortlisting candidates for the 70 RC Armed Forces Selection Board (AFSB) interview. 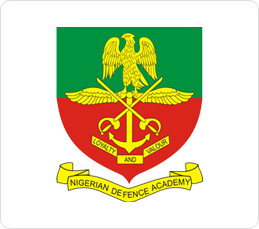 Nigerian Defence Academy Courses and Requirements. NDA 70th Regular Course Admission Requirements. NDA 70th Regular Course Method of Application. Candidates should logon to the application portal www.ndaapplications.net select “Purchase Access Code” and fill in their details to pay for their application via REMITA after first obtaining their ORDER ID and REMITA Retrieval Reference (RRR) Code in the sum of N3,500.00 only. Please note that only payment against RRR Codes generated via the application portal would be accepted. The screening test will be conducted as phase one of the Post-UTME screening and is scheduled to hold on “Saturday 19th May, 2018”. Therefore, all eligible candidates are to bring along their Acknowledgement Form, Examination Admission Card, JAMB result slip and TWO (2) postcard sized (3.5 x 5 inches) photographs to the Examination Centre on the examination date. The photographs should show only from the chest upwards and should contain the candidate’s Name, Exam Number, State, Exam Centre, Course of study and Signature at the back. Only successful candidates at the NDA Entrance Examination will subsequently be invited for the Armed Forces Selection Board following which the list of admitted candidates will be published.